A number of high profile persons have opened up about their sexualities, in Nigeria and abroad. One of the most recent people to do this is Dewy Oputa, the daughter of activist and musician Charly Boy. While rumours had swirled for years about her sexuality, Dewy decided to take things into her own hands. She came out via an Instagram post, introducing the world to her girlfriend and the Instagram profile they were running together. It takes a lot of courage to live your truth in a highly prejudiced society like Nigeria, and people like Dewy Oputa coming out forces people to reevaluate their preconceptions about homosexuality. As more people with the economic and social standing to buffer some of the violence and negativity that comes with coming out in a homophobic society like Nigeria, they will need allies, some times in the form of the strangers who offered positive comments to Dewy’s coming out and challenged homophobes on her timeline, and sometimes in the form of family members publicly supporting their decisions. 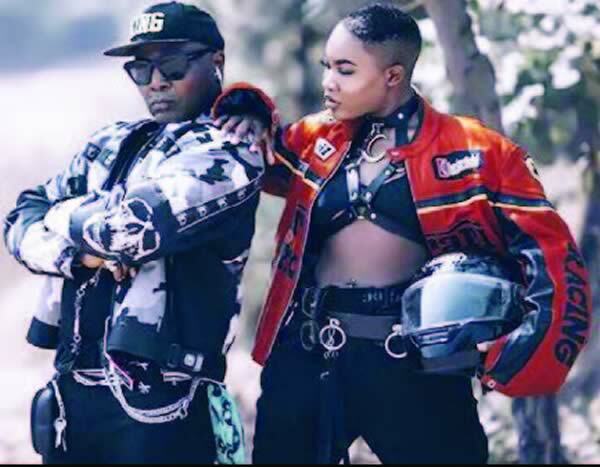 After gossipblog InstaBlog9ja picked up Dewy’s Instagram post and publicized it to their audience, Charly Boy took to his social media channels to release a statement supporting his daughter’s decision to publicly reveal her sexuality. For Those going Gagas over my Princess Dewy’s post. Hear This. The best thing about being true to yourself is that nobody can insult you by telling you what you have just told them. Acceptance has to come from, Within. I am blessed with beautiful Children and grand children. Love ❤️ em All. Thank you God. While Dewy has spoken up in interviews about how it was difficult for her parents to accept that she was lesbian, it is great to see a person of Charly Boy’s standing openly support her decision to live her truth and deny homophobes any ground to persecute his daughter. These are the kind of allies we need.